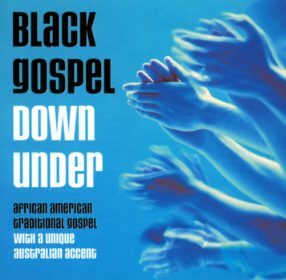 Late 2002 saw the release of "Black Gospel Down Under", a CD showcasing Australian gospel music, on ABC Records. It features Sydney gospel groups including Cafe of the Gate of Salvation, the Elementals, and the Heavenly Light Quartet; Melbourne's Heart 'N Soul, Naked, and Brilliant Captains of Love; Brisbane's OK Chorale, and many others. 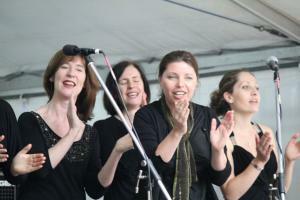 The Honeybees' contribution is "Shine", one of the choir's favourite songs, recorded at the Bondi Pavilion in 2001. 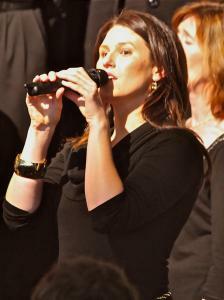 How lovely it is to hear again that beautiful solo from now-departed Honeybee Geri Hunt. 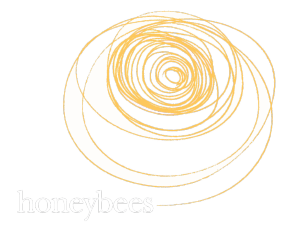 The recording was produced by David Busch, and comes with a sleeve-note by American gospel expert and sometime Honeybee guest Dr Patrick Johnson. You may be able to find "Black Gospel Down Under" at your local ABC shop, or by visiting ABC Online.